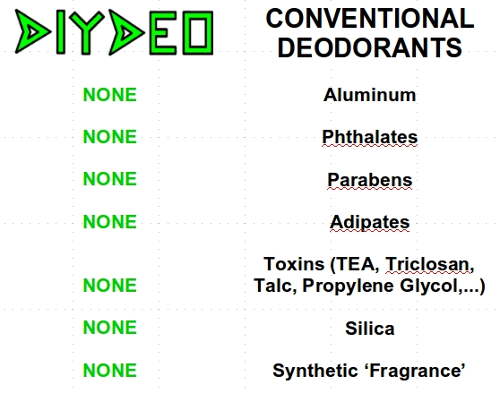 DIYDEO is THE all natural underarm deodorant concentrate that works! NO Residue--Dries Quickly Upon Application! 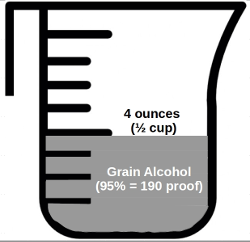 FDA GRAS Safety Rating for all Ingredients! EWG Safety Rating of 'Low' (1.3 average out of 10) for all Ingredients! MIC (Minimum Inhibitory Concentration) for all Odor-Fighting Ingredients Against Problematic Microbe Spp. 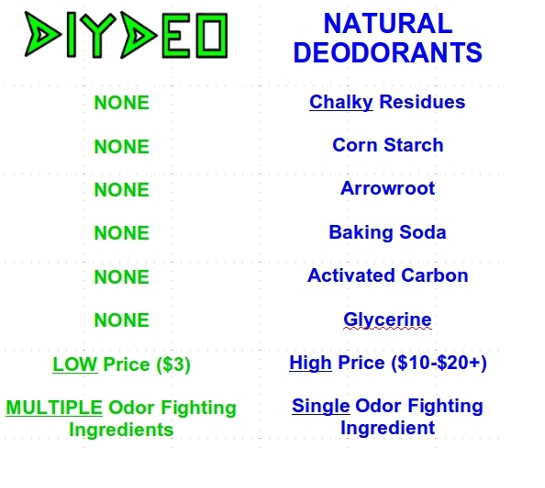 DIYDEO is a concentrated deodorant, and with each package DIY'ers can dilute as directed and make a total of 6 fl. oz. (a 6 month supply)! Close container tightly & shake vigorously for 60 seconds. Dispense the final, full-strength deodorant solution into your choice of fine mist sprayer. Discard or recycle towelette. Why a concentrate and not just a regular strength bottle? SHIPPING! 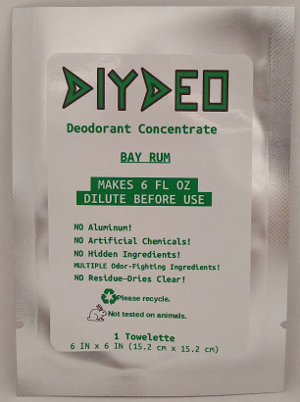 Our concentrate shipping cost is just $0.50, while shipping a full-sized bottle would cost $8 or more--not to mention the cost of the deodorant/bottle/packaging. 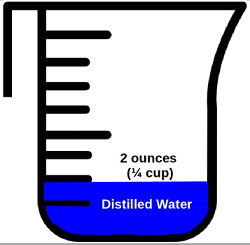 Even with supplying your own dilution ingredients (~$0.05 for the distilled water; ~$2 for the grain alcohol) and bottle ($1 or less), you can make your own DIYDEO for ~$6 per 6 oz volume! That's roughly $1 per month for an all natural deodorant that works! Bay Rum Deodorant (Concentrate: 6 month supply)--FREE SHIPPING! 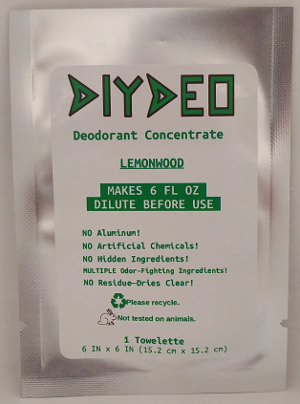 Lemonwood Deodorant (Concentrate: 6 month supply)--FREE SHIPPING! 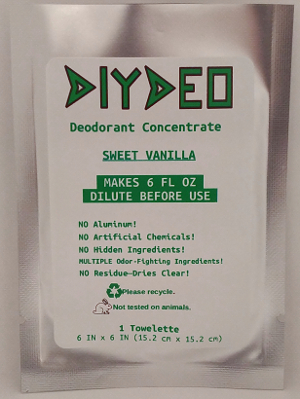 Sweet Vanilla Deodorant (Concentrate: 6 month supply)--FREE SHIPPING! Serving you is a 'smellebration'! Did you know that email is no more secure than a postcard? Secure it in a SSL envelope. 4SecureMail provides low cost SSL secure mail solutions to individuals or business.